" The products are great and I am very satisfied. The delivery time was excelent. I will be ordering replacement parts in the future. " No image(s) available for the machines using these filters. This is a six pack of filters. 1. If you are using the disposable white filters, insert it into the filter area first, mesh-side facing in, towards the device. 2. Insert the gray foam filter into the filter area, on top of the fine filter. In what order do I insert the filters? If using both a foam and paper filter, the white paper filter is inserted into the filter area first. Some paper filters use the same material on both sides and either side can face into the machine. 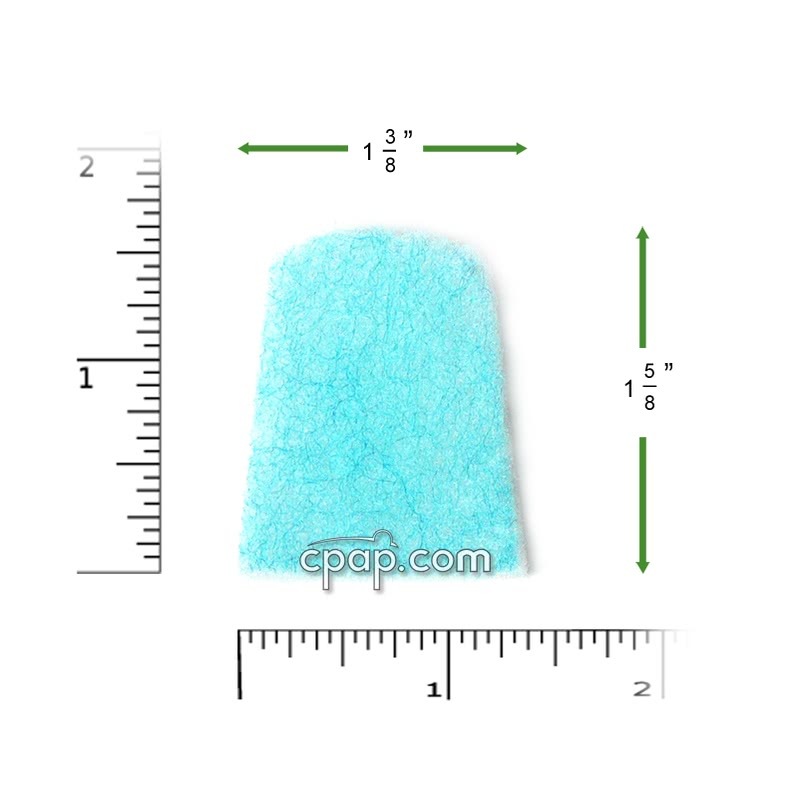 Other paper filters may have a plastic mesh side and a soft, fuzzy side. Insert the mesh side facing into the machine and the fuzzy side facing out of the machine as shown in the image below. If the paper filter has a tab, fold it facing out of the machine for easy removal. The foam filter is inserted into the filter area after the paper filter is installed. The foam filter will catch the larger dirt particles first. If you are using a two colored filter, the colored side faces out as shown in the image below. 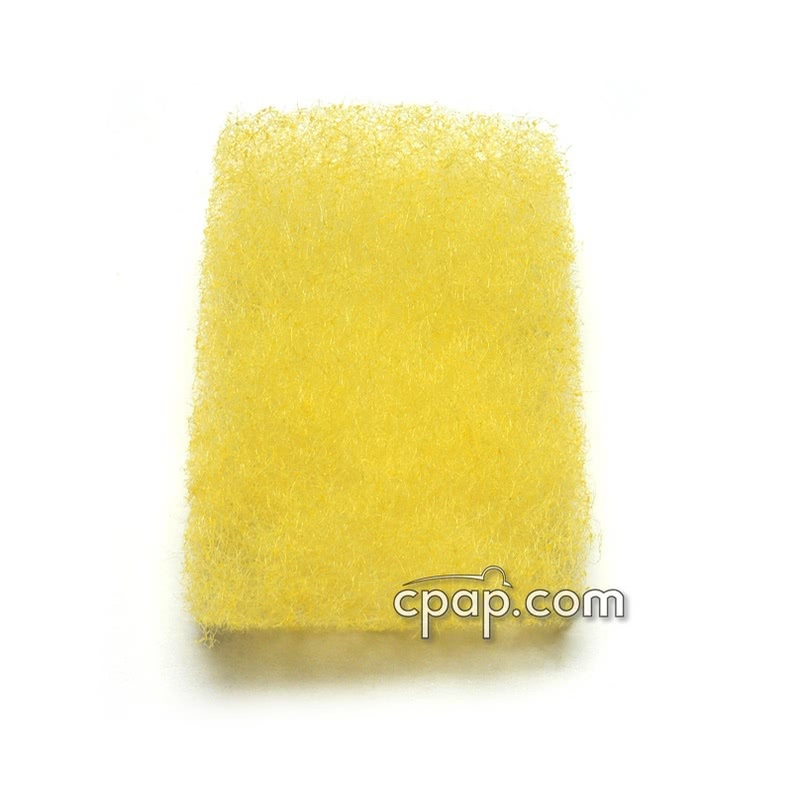 Reusable foam filters should be replaced when they deteriorate and begin to fall apart, much as a sponge does. The foam filter should be washed with a mild detergent monthly and should be replaced every 3 months or more if the foam is torn. Disposable fine filters and bacteria filters should be discarded as soon as they become discolored or at least every 30 days. If you live in a house with pets or smoke, you may need to replace the filters more often. 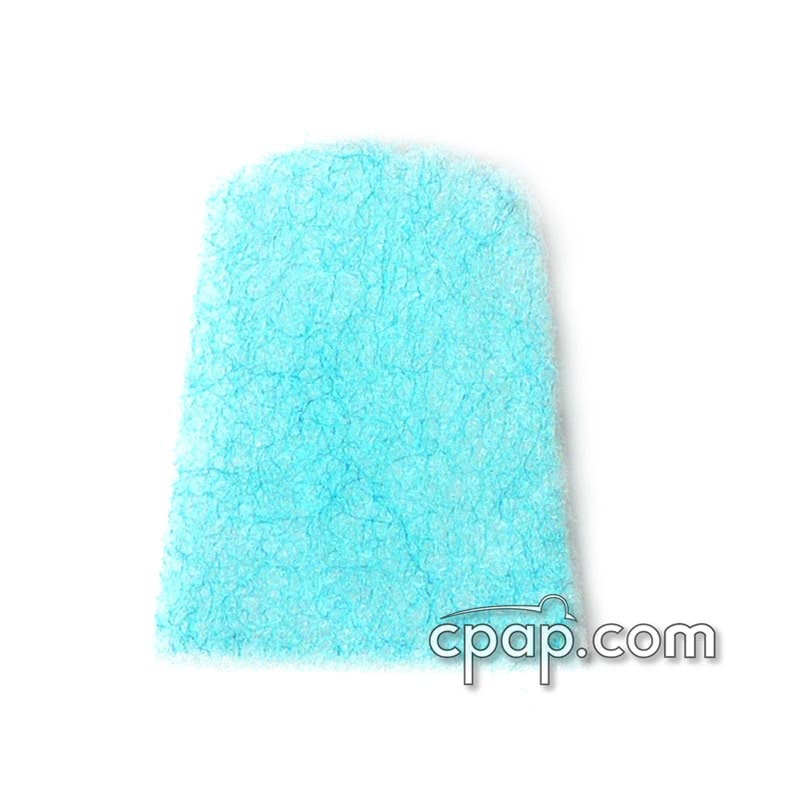 What are reusable foam filters? 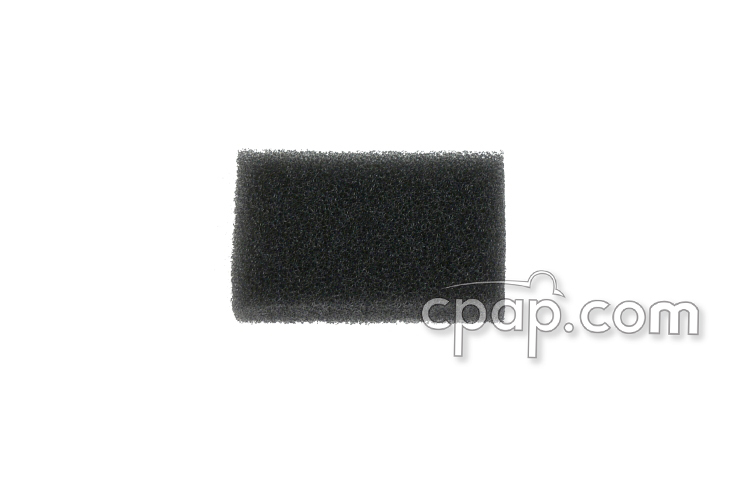 Foam filters are designed to collect larger dirt particles and animal fur. If two filters are used in a machine, the foam filter should be on the outside. 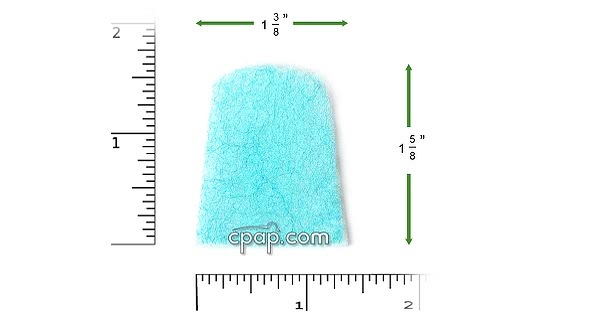 An example of a reusable foam filter is shown below. What are disposable fine filters? Ultra fine filters collect much smaller particles and are useful for those with allergies or sinus issues. These filters are not meant to be cleaned, but discarded when dirty. An example of a disposable fine filter is shown below. 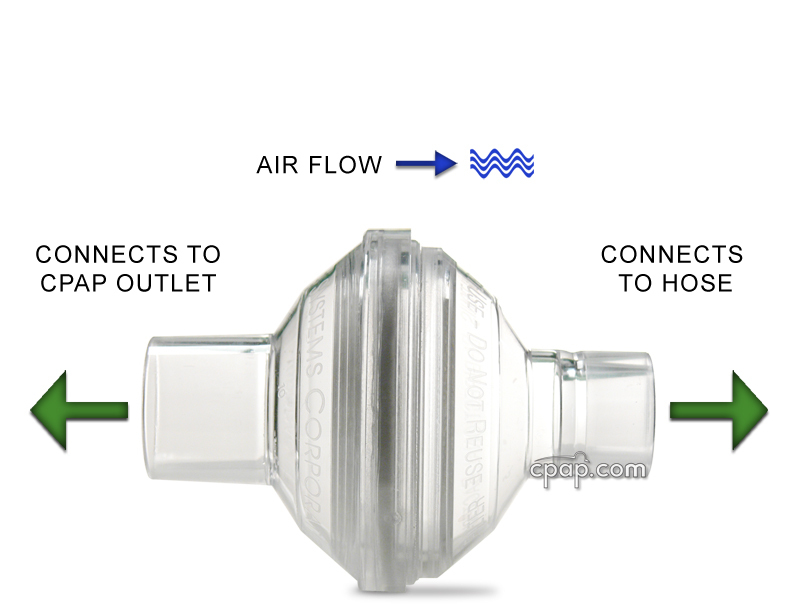 What is an In-line Outlet Bacteria Filter for CPAP/BiPAP? Bacteria filters are fine enough to remove some bacteria and are clinically indicated when a CPAP machine is used by more than one person. 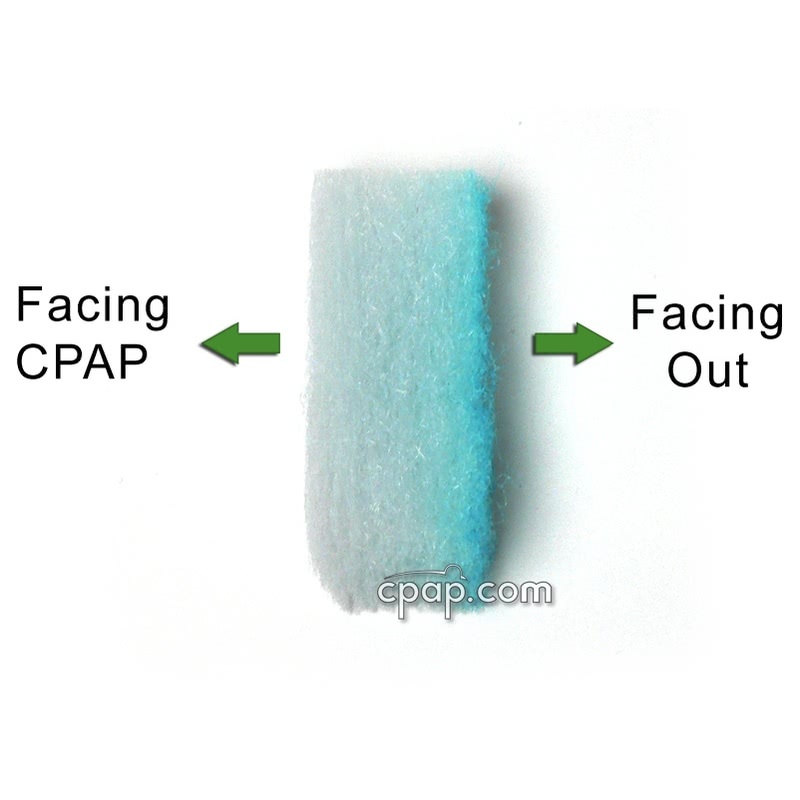 However, many CPAP users find them helpful in reducing the occurrence of sinus infections and other nasal issues. 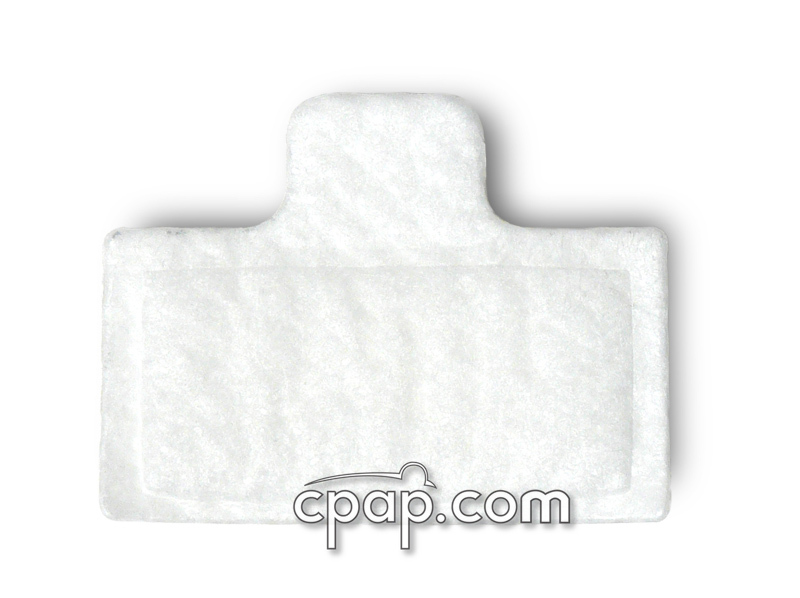 Bacteria filters can be used with an CPAP/APAP/ or BiPAP machine. 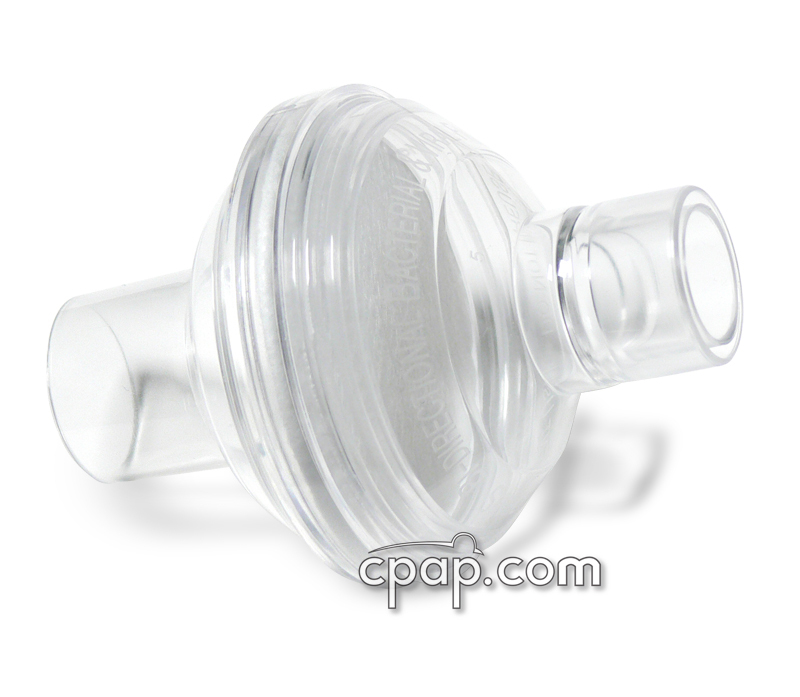 Bacteria filters are housed in a plastic frame and are placed at the CPAP air outlet, rather than the air inlet. They may be used with humidifiers, but should be removed and allowed to air dry during the day. This filter is placed at the air outtake for your machine if you are not using a humidifiers. If you are using a humidifier, it is placed at the air outake for your humidifier. The bacteria filter is placed in the air outtake and the CPAP hose is placed on the other end. The entire housing is disposable and should be discarded as soon as matter becomes visible. 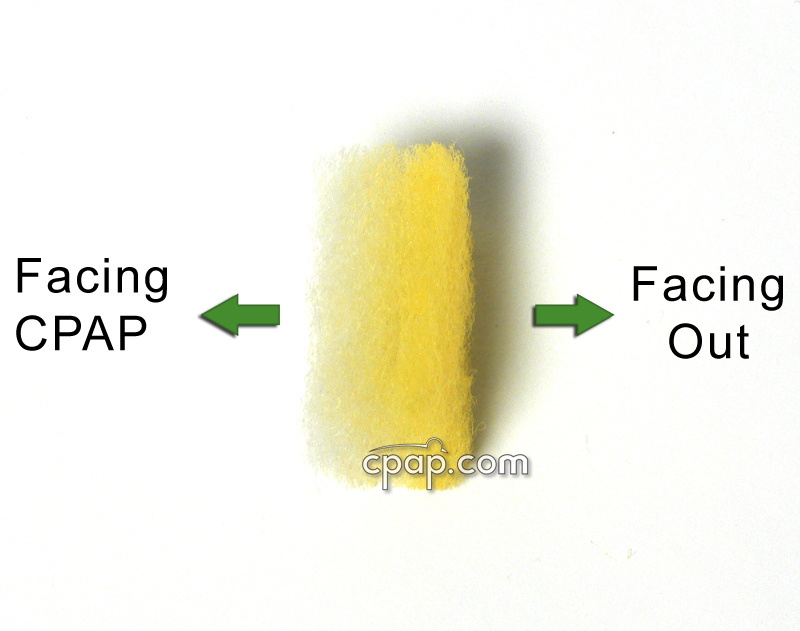 A clogged Bacteria filter may affect the amount of air delivered by the CPAP. An example of a bacteria filter is shown below. Follow by an image showing how it installed.